GRANBURY, Texas – March 27, 2017 – Get ready North Central Texas! A brand new Marksmen Firearms & Outfitters store will open for business on Saturday, April 1 in Granbury. There are also three other Marksmen stores in Benbrook, Killeen and Mansfield, Texas. “The Granbury Chamber of Commerce proudly welcomes Marksmen Firearms & Outfitters to Granbury and Hood County. Marksmen enjoys a strong reputation for community service and involvement from their three existing stores in North Central Texas. We applaud their selection of our thriving and vibrant business community”, said Chamber President and CEO, Mike Scott. You can bet folks will be lined up around the building before doors even open for their hourly gun giveaways and opening day specials. The Ranch, 95.9 FM, will be doing a live remote broadcast and there will be free food and live fishing for the kids. “Granbury is really the gateway to hunting and fishing in this part of Texas. There are some serious sportsmen who live all around here and we want to be the go-to source for all their hunting and fishing needs,” said Joey Dello Russo, Director of Operations. 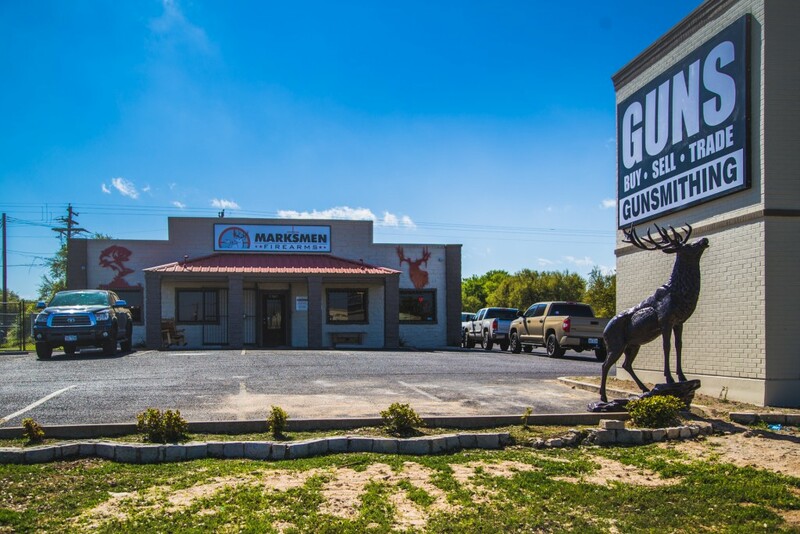 The newest Marksmen Firearms & Outfitters is located 3307 E. Highway 377 in Granbury. In addition to a large selection of firearms, accessories and ammunition, the store will also provide fishing equipment, live bait and a large selection of hard-to-find tackle. Marksmen’s grand opening will be from 10 a.m.- 7 p.m. on Saturday, April 1. Normal store hours will be Monday-Saturday, 10 a.m.- 7 p.m. For more information, visit www.marksmenfirearms.com/granbury or follow them on Facebook at Marksmen Granbury. Marksmen Firearms & Outfitters is a corporate property of AngMar Retail Group. The retail group also owns and operates Fat Daddy’s Sports & Spirits Café, Southern Oaks Golf Club, The Oaks Event Center, AutoWorx, House of Hotrods, Fireworx and Smokey MAE’s Barbecue, which opens in May of 2017 in Mansfield, Texas.